Since having seen Warrendale and Dying at Grace in 2008, I've been encouraging anyone that would listen to check out the documentaries of Canadian filmmaker Allan King. Unfortunately, like Frederick Wiseman's oeuvre, the only way to get King's documentaries on DVD was to purchase them directly from the filmmaker. Now, thankfully, they're much easier to get thanks to this inexpensive five-disc release from the Criterion Collection's Eclipse label. King, who died last year, enjoyed a varied career as a television and film director, spanning over fifty years. Although often employed to direct television commercials, television series (Kung Fu: The Legend Continues) and made-for-TV movies (Leonardo: A Dream of Flight), King's passion was making thoughtful, observational documentaries about life writ small. With Warrendale in 1967, King established himself as a pioneer of the vérité documentary film movement that would be labeled Direct Cinema, though King preferred the term "actuality drama" which he defined as "the drama of everyday life as it happens, spontaneously without direction, interviews or narration." Beyond the influence of Warrendale and Dying at Grace on a large body of subsequent documentaries such as A Lion in the House and Sweetgrass, King's documentaries have enjoyed an even bigger impact on prime-time television. A Married Couple in 1969, and Come On Children in 1972 were the precursors to reality television as we know it. From An American Family to Jersey Shore, it was all done first by Allan King. To a casual observer, Frederick Wiseman's Titicut Follies and Allan King's Warrendale may appear to be cut from the same cloth. Both were completed in 1967. Both take as their subject matter persons institutionalized against their will. Both are seminal works of Direct Cinema in which the filmmakers record the unscripted actions of their participants. Neither filmmaker is heard or seen, nor otherwise attempts to influence the viewer's impressions through narration, intertitles, soundtrack, or score. Both use a single lightweight camera loaded with 16mm (1.33:1 aspect ratio) black and white film. Both shot a hundred or more hours of footage over a period of weeks, and both used the editing bay extensively to shape the material to tell a dramatic story, but here the similarities end. 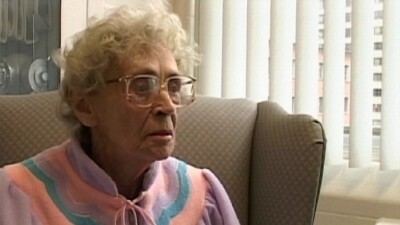 While Titicut Follies was shot and edited as an exposé outing the deplorable conditions mentally-ill men were being subjected to under the care of the State of Massachusetts, Warrendale doesn't betray how the filmmaker feels about the therapy the emotionally-disturbed children under the care of a Canadian group home are receiving. Thus, where Wiseman invites the viewer to share his outrage, King's opinion remains inscrutable. There's an intimacy between King and his documentary participants that's distinct as well. To achieve it, he spent four weeks in the group home with the children and therapists alone and without a camera. When the children and therapists were thoroughly comfortable with his presence, he brought cameraman William Brayen and sound man Russel Heise in as well for another two weeks before shooting the first foot of film. The Warrendale facility is home to twelve emotionally disturbed boys and girls who appear to be between the ages of 10 and 17. The children are cared for by a staff of eight on site, as well as additional therapists and teachers at an adjacent school, but King primarily focuses on two counselors, Terry and Walter, and three children, teens Irene and Carol, and pre-adolescent Tony. The counselors at Warrendale practice a therapeutic technique referred to in the film as "holding" whereby a child acting out in a way that might lead to harm to himself or those around him is physically restrained by one or more counselors until the rage has subsided. The restraint is not intended as physical punishment, and in fact, the counselors are trained in applying the technique to avoid physically harming the child. The therapeutic intent behind the practice is to cathartically release the child's rage, break down psychological defenses, and promote the child's attachment to the caregiver, though arguably the effect often appears to be to infantilize the children. 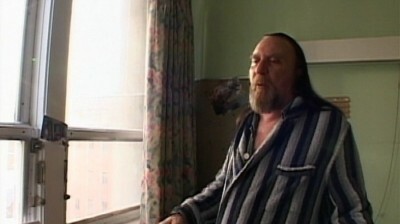 Warrendale was commissioned by the Canadian Broadcast Corporation for television, but the CBC found King's film too shocking to air. Instead, Warrendale was shown on the festival circuit where it was named the best documentary of the year by the National Society of Film Critics and the British Film Critics Society, and shared with Michelangelo Antonioni's Blow-up, the International Federation of Film Critics Prize at the 1967 Cannes Festival. Capitalizing on the critical success of Warrendale, King obtained financing to make a documentary about the modern institution of marriage. For seven weeks, King's film crew had unrestricted access to document the lives of Toronto couple Billy and Antoinette Edwards, their 3-year-old son Bogart, and their dog Merton. When it was released A Married Couple sparked a dispute among critics as to whether it should be labeled as documentary or fiction since the participants were not only aware of the presence of the camera but were frequently playing to it, but the contrivance of will appear tame to audiences accustomed to the excesses of 21st-century reality television. A Married Couple captures a relationship in turmoil. The Edwards' marriage is caught in the gap between the demise of the Leave It To Beaver ideal of marriage and the emergence of the Cosby Show ideal. Billy, a junior advertising executive, is the sole-breadwinner and as such he expects Antoinette to tend to housekeeping and childrearing without complaint, to dote upon him when he returns from the office, and to defer to him on all financial decisions. Antoinette, on the other hand, wants to assert not merely her full equality, but actually her superiority to Billy, yet as she admits to her best friend, she loathes weak men and knows that she'll despise Billy as soon as he's given in. The Edwards play to the camera: Antoinette won't sleep in the same bed as Billy, she flirts openly with other men, suggests a trial separation without either moving out, and demands frivolous extravagances such as musical instruments she has no intention of learning to play, language instruction records she doesn't intend to listen to, and most tellingly, a marble pedestal to place beside her bed; for his part, Billy flickers between patriarchal condescension and browbeaten appeasement, while continually lounging around the house in seemingly the same red bikini briefs for the entire seven weeks, supplemented only by a rotating wardrobe of tops. The drama of Come On Children marks the apex of contrivance for the films included in this box set. With a step-up that will be instantly recognizable to fans of shows such as The Real World, King pays five teenage boys and five teenage girls ranging in age from 13 to 19 to live for ten weeks in a farmhouse without any responsibilities or adult supervision. Left to their own devices, the teens amuse themselves mostly by drinking, drugging, and playing music. With the exception of Lesley Henry, who becomes the de facto house mom despite being the youngest, all the teens drink and smoke dope, while a few drop acid and shoot smack. While living in the farm house, Sharon Wall gives birth to a son, halfheartedly tends him for a few weeks, and then passes him off to her parents to raise. The Dylanesque John Hamilton recounts his experience kicking smack for the camera, all the while helping his housemate Alex Zivojinovich shoot up. In response to already simmering tensions over the cleanliness of the house and the division of chores, a trio of teens anonymously ransack the house while the others are away. Alex woos Sharon, cooks the meals, plays music, throws a party, and pretty much dominates the screen time along with Sharon, Lesley and John. The rest are infrequently heard from, and with the exception of Alan Dunikowski who beats a house cat, are easily forgotten. In the final contrivance, the parents are invited over for a night of confronting their children about returning to school or pursing realistic career goals which ends fruitlessly. 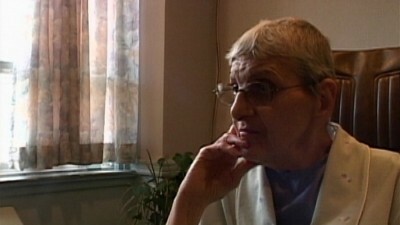 Filmed over the course of 14 weeks at the palliative care unit at the Salvation Army Toronto Grace Health Centre, Dying at Grace documents the last days of Carmela Nardone, Joyce Bone, Eda Simac, Rick Pollard, and Lloyd Greenway. Approached by noted Canadian filmmaker Allan King who wanted to make a film that would unblinkingly explore the experience of dying, the five graciously agreed to participate. The taboo-breaking result is a 148-minute Direct Cinema documentary that is honest, straightforward, poignant, and respectful. King and film editor Nick Hector show great nerve in their decision to focus the first hour of Dying at Grace on just Carmela Nardone and Joyce Bone. At first blush, Carmela and Joyce appear to perfectly fit the stereotype of those who die in an institution. They are both frail, cancer-ridden, elderly widows. However, below the surface Carmela and Joyce could hardly be more different from one another. Carmela is a Roman-Catholic who immigrated to Canada from Italy as a young woman. She's a quiet, dignified woman who never complains, and appears to have made peace with her death. She's frequently surrounded by family and friends, but sends them away an hour before she dies, choosing to silently share her final moments with cameraman Peter Walker and soundman Jason Milligan who document her passing in close detail. Joyce Bone, on the other hand, is a stoic with a dry sense of humor. She has faced a great deal of misfortune in her life. She mourns the deaths of her parents, sibling, husband, and two of her three children. She doesn't believe in an afterlife, but fears death. Joyce struggles against each progressive decline in her health. At last, unable to find peace, she dies afraid and essentially alone. The final hour and a half of Dying at Grace intercuts the end of life experiences of Eda, Rick, and Lloyd. Eda is the first of these three we see, and the last to die. A trim woman of about 60, she was a civil servant until she was diagnosed with terminal liver cancer. She's close to her deceased twin's husband, but otherwise is a very private person. Though she seems to strike up a few genuine friendships with some of the medical staff, she brooks no sympathy from anyone, and refuses to see friends or former colleagues. During the filming, Eda remarkably goes into remission, but on the eve of being discharged from the hospital she relapses falling into a rapid downward spiral. Rick Pollard is the most flamboyant character of the lot. A heavily-tattooed former member of the violent biker gang Satan's Choice and a reformed drug addict, Rick remains a heavy drinker and smoker despite his terminal lung cancer. Rick refuses to acknowledge his imminent death. When the end comes, he struggles fiercely but then seems to find some contentment in the final moments, passing away peacefully. The youngest of the participants, Lloyd Greenway, a Metropolitan Community Church minister, is suffering from inoperable brain cancer. Lloyd is tenderly cared for by his partner of thirty years Norman, and by a circle of close friends. When filming begins Lloyd is ready to pass on, but Norm wants him to fight. However, as Lloyd's condition deteriorates their roles reverse. 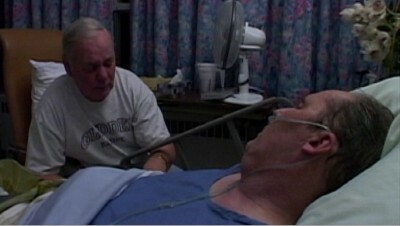 When Lloyd is no longer lucid, and his body is wracked with pain, Norm at last urges Lloyd to let go. Finally, while surrounded by his partner and friends, Lloyd dies. The staff at Toronto Grace are the most respectful, kind and compassionate professionals that anyone could ask for in such difficult circumstances. Salvation Army Major Phyllis Bobbitt, director of spiritual care services at Toronto Grace, non-judgmentally provides comfort to the five patients. She inquires of Joyce to determine whether she might find some solace in religion, but doesn't push when Joyce rejects the attempt. Similarly, neither she nor any of the staff appears to look down on Rick for his past, nor do they refuse him the comforts of beer and cigarettes in his last days. Dying at Grace is an honest, close-up examination of the universal experience of dying. It includes footage of ordinary deaths, no different from the sort that most of us will eventually personally experience, that are sometimes graphic and disturbing, but never sensational or exploitative. Like Warrendale and Memory for Max, Claire, Ida and Company, Dying at Grace is demanding. While most of us find death an easy and entertaining subject when presented in the context of a Hollywood fiction, the reality of dying can be troubling to contemplate, and harder to watch. Though nearly all of us wish to die in our beds, asleep or surrounded by family, after a long, productive life free from sickness and pain, most of us will not be so lucky. Alas, many of us will outlive our spouses, partners, and friends, and become so physically or mentally enfeebled that we will spend our final years in geriatric care. Even so, whether by luck or fortitude, some will be spared significant physical pain and mental anguish, but many others won't. King's 2005 documentary, Memory for Max, Claire, Ida and Company like Dying at Grace, objectively considers this fate most of us dread, but many of us will face. Despite what appears to be outstanding care from the staff of Toronto's Baycrest Centre for Geriatric Care, a 472-bed Jewish nursing home, the seniors featured in Memory... are going through hard times. All of the participants require substantial assistance, though none are bedridden. Helen Mosten-Growe, already beyond reason, rages incoherently, upsetting fellow residents, especially Claire Mandell. Claire, who is the most physically able of the participants, can attribute her remarkably good spirits to her affection for fellow resident Max Trachter, a sweet, shambling, tiny man who constantly sings Yiddish ballads. When Max dies suddenly, Claire's mental state crumbles. No longer can she remember that Max has passed, and everyday she re-experiences his loss as if for the first time. Rachel Barker is lonely when her family doesn't visit, but her depression is mild compared to that of Fay Silverman. Fay is manic with joy when her son visits, but is inconsolable when he leaves. Fay sobs continuously wracked with loneliness and wishing for death. Retired physician Murry Cornish musters a flirtatious bravado when he can, but like everyone else his mind is slipping away. Though confined to a wheelchair, Ida Orliffe is the soundest of mind. Although widowed many years earlier, Ida frequently fondly reminisces about her years as a wife and mother. Contrasting the highs of her married life with the lows of her long years alone, she confides "I can't complain. I've had a wonderful life. But not now. The last years are not good." This set entitled The Actuality Dramas of Allan King - Eclipse Series 24 consists of five discs housed in separate slimline cases, enclosed in a single cardboard slipcover. Video quality varies from film to film, but all are less than ideal. Warrendale and A Married Couple are presented in 1.33:1 full frame. Come On Children is presented in anamorphic 1.66:1 widescreen. Dying at Grace and Memory for Max, Claire, Ida and Company are presented in anamorphic 1.78:1 widescreen. All of the discs except Come On Children are dual-layered. Ironically, the best looking film is also the oldest. Originally recorded on black and white 16mm over 40 years ago, Warrendale has some scratches but sharpness and contrast are fairly good considering the source material. A Married Color also displays some print damage as well as inconsistent color and some softness. Come on Children suffers considerable print damage, extreme edge enhancement, and significant compression artifacts and digital noise. The recent films Dying at Grace and Memory... were shot on standard-definition DV. The interlaced image shows poor resolution, aliasing, extreme edge enhancement, and numerous compression errors. Audio quality also varies with the newer films sounding better than the older, and only Warrendale sounding particularly bad. Warrendale and A Married Couple are presented in mono, with the remaining three films in stereo. All have optional English subtitles. The original audio recordings for Warrendale were less than perfect. Dialogue is frequently indistinct either because the speaker is far from the mic, or because of background noise, or, as in the case of Tony, because the speaker simply mumbles. Regardless of the reason, the result is that some of the dialogue is simply inaudible or unintelligible. Camera noise is a common factor in all of the first three films, and there are repeated dropouts in Come On Children presumably attributable to gaps in the original recording. Audio for Dying at Grace and Memory... are free from recording noise, distortion or dropout, and sound very good considering the recording conditions. Apart from brief liner notes provided for each film, there are no extras on this release. The five films included in The Actuality Dramas of Allan King - Eclipse Series 24 are of two kinds. A Married Couple and Come On Children, precursors to modern reality television, are much lighter viewing than Warrendale, Dying at Grace and Memory for Max, Claire, Ida and Company which are graphic and demanding. 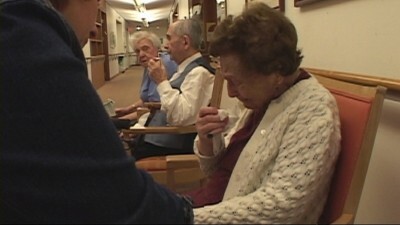 It can be difficult, and at times dispiriting, to watch the emotionally-disturbed children of Warrendale, and the dying and enfeebled participants of Dying at Grace and Memory for Max, Claire, Ida and Company, but the extended opportunity to reflect on the treatment provided to these vulnerable people, and in the case of the latter two films, to consider our own futures in light of their experiences is invaluable. Accordingly, The Actuality Dramas of Allan King is highly recommended.